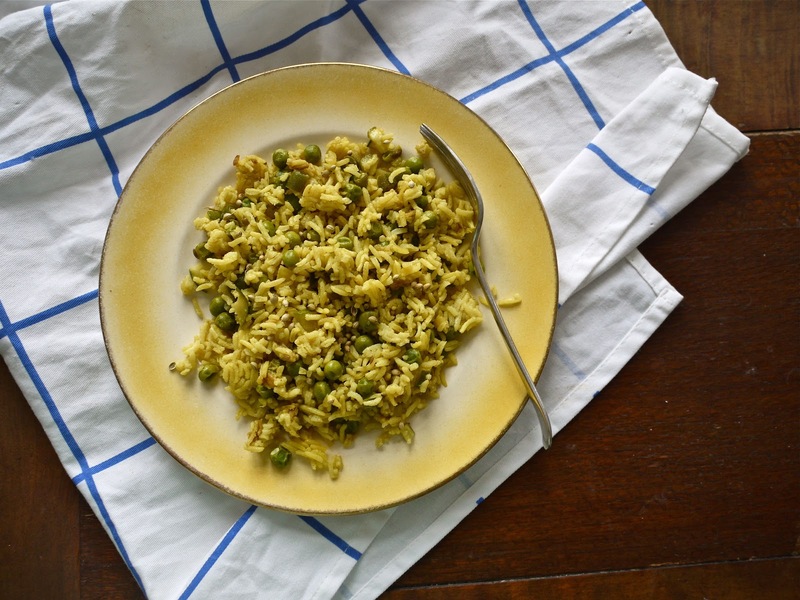 For something so simple – just rice that you biff into a pan, cover with water and ignore for a bit – pilaf goes by many names. Some call it pilaff with the sneaky double f. Some call it pilau. Still others call it ‘polo’ if you look in a cookbook old enough, or the delightful ‘plov’ if you look on Wikipedia. It’s not unlike a risotto, but while less ritzy, it’s a billion times easier, and the very thought of how easy it is can nudge me into actually cooking it for dinner rather than lying on the couch sleepily eating spoonfuls of peanut butter. Which isn’t a bad thing. What it is, is a self-fulfilling prophesy, since peanuts have some chemical in them that makes you sleepy. So like a snake eating its own tail, I shall…mix my metaphors. Before you go wrongly thinking of me as some kind of queen of organisation, the pilaf was tucked under a packet paneer tikka masala and bought hot lemon pickle. But even on its own, it’s emphatically good stuff. Why was I even so tired that I could hardly handle harmless grains of rice? Nothing important, oh wait, WEBSTOCK. It was so exciting that I drank their entire supply of kool-aid to assuage my feverish enjoyment of it all. I’ve already told you all about the glumness that I get when fun times are over, but gosh was it ever hard to let go of this amazing experience. It left me unbelievably inspired, full of scribbled notes and ideas, more enamoured of my friends than ever while surprised by how many cool new people I managed to meet. And caffeinated enough to charge up a fancy-brand touchscreen tablet just by pointing at it with eyes narrowed. See? Kool-aid. Imbibed. But the organisers put on such an amazing show that comparing it to the Itchy and Scratchy Movie is the best compliment I can pay it right now. Especially because my brain was worked so hard that all I’ve got room for is the aforementioned pilaf. It’s inspired by a recipe in the beautiful Meat-free Mondays cookbook which I’ve recently acquired. Although Tim did point out that we should start a Meatful Mondays movement just for us, since we hardly ever eat meat anyway. And when I say inspired I really mean…lazily appropriated with great laziness. They used whole spices, mine were mostly ground. I threw in some bits of other vegetables I had. I didn’t wait for things to boil. You get the idea. Any other bits of green vegetables, chopped up small – I used zucchini and three green beans that had sadly got left behind. Heat the oil and butter together in a pan and add the spices, gently stirring over a low heat. Tip in the rice granules. While they’re totally uncooked, a generous amount of time over the heat does something delicious to their flavour. Tip in 2 1/4 cups of water, which should hiss up a bit on impact with the hot pan. Bring to the boil, then cover and lower the heat. Simmer gently for about ten minutes, add the vegetables and simmer a little longer. Add salt to taste, and serve. This makes enough for two people plus leftovers for one person. Another reason I was so tired – Tim and I and Brendan and Kim went to the Wairarapa! I’d never been to Martinborough before and as a lover of food this was apparently a bit of an oversight. 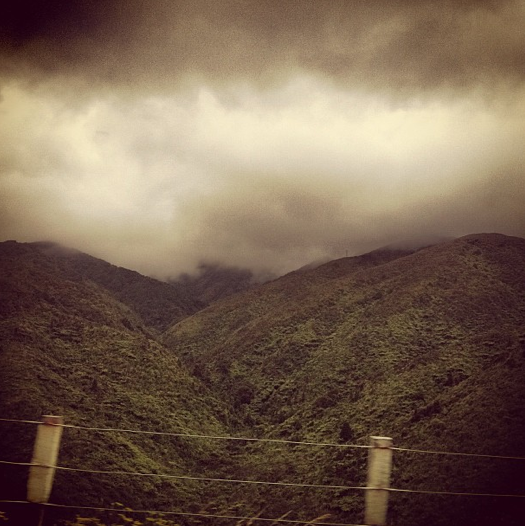 The Rimutakas were delightfully foggy and eerily atmospheric, once I’d added some filters in Instagram to the photo above I snapped out of the window of the moving ute. Martinborough and Greytown were super cute, and at last count there were roughly a billion antique shops for us to carefully explore. 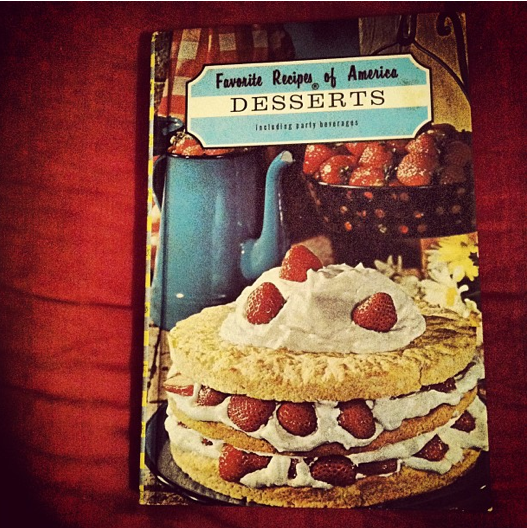 I found some serious treasures, including the amazing book above, and the beautiful plate below from Vintage Treasures NZ. 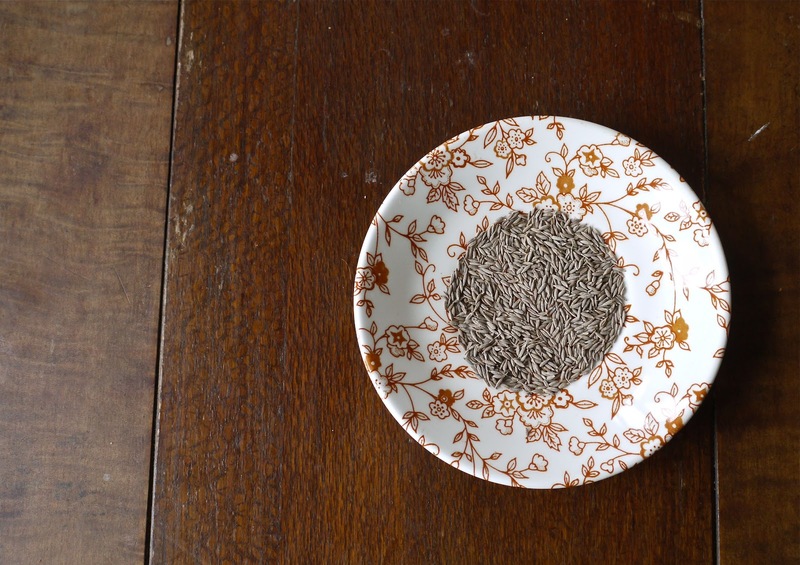 Its use is gratuitous at best – like, I didn’t really need the cumin seeds on a plate while making the recipe and they were such a pain to tip cleanly back into the packet but…look how pretty the plate is! Barely gratuitous at all, the more I look at it. Speaking of gratuitous, the necessary diagonal teatowel. One day I’ll get the ratio of fold:fabric angle at an optimal, most-likely-to-be-shared-by-users angle! The lovely teatowel was given to me by my Mum and godmum Vivienne, by the way. 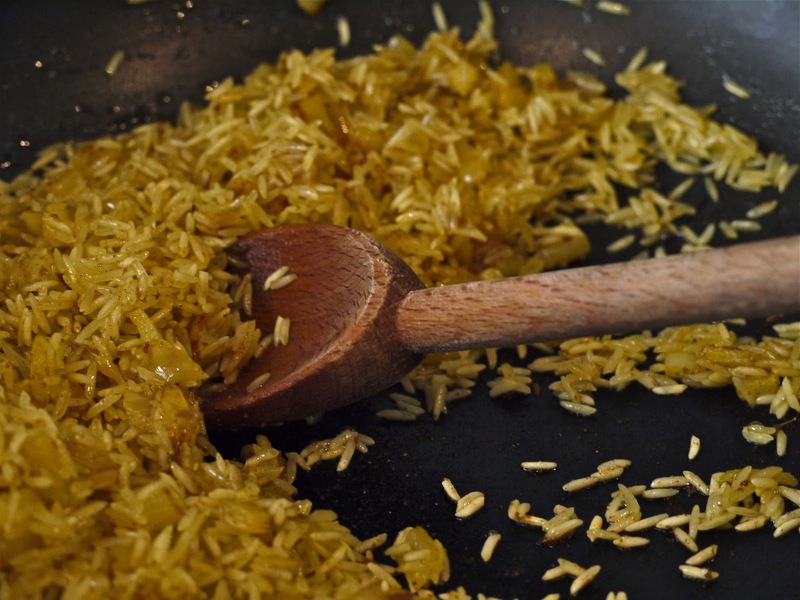 Earthy with turmeric (not to mention stainey) and calming with cinnamon, this pilaf shows that the simplest foods can be among the nicest. Left to its own devices, the rice absorbes the butter and the spices and whatever flavour the vegetables have left to give up. It’s a comforting and tastes grand, and its speed, cheapness and total lack of brainpower required only serve to augment said factors. As long as you’ve got a bit of salt and some butter or oil handy, you could leave out everything else that the rice cooks in and still be guaranteed much deliciousness, no matter how sleepy you are. Anna Coddington, Bolt. With one thing and another and many a “d’oh!” I missed her recent show in Wellington. But I can still listen to her awesome music! Phew. TLC, Diggin’ On You. Fuh-lawless. you're pretty much the bee's knees! Just had to tell you that in case you hadn't been told that in a while. Ooh yeah, perfect busy time food! Also Webstock does look AWESOME. I reference dana boyd in my thesis too! You always add flavors that initially freak me out to see them together – but I trust you. Internet trust. It's big time. Oh that looks gooood. Just the kind of dish when I'm faced with cooking a meal for myself. I always want rice when it's just me. And I could have this for lunch the next day too. Nothing more comforting than a tasty bowl of rice, eaten with a spoon under blankets, in front of the tele. Webstock? Golly I have no idea who these people are and what their achievements mean, maybe I have been spending too much time in the wrong web communities (or just with 'older' people). 🙂 Nice rice, good to see that r in the spice. Could you maybe please just point at me and recharge me? That would be wonderful. Also, I can't not imagine this pilaf with a big melting spoonful of peanut butter now. OMG SO GOOD IN MY BRAINMIND OF IMAGINING. Yes! I'm more of a pasta lady, but I forget how amazingly comforting and wonderful rice is. No biggie – all you need to know is that they're all pretty amazing in their specific field 🙂 and I was pretty excited to be able to learn from them. *waves wand” BALLGOWN! Is this thing on? 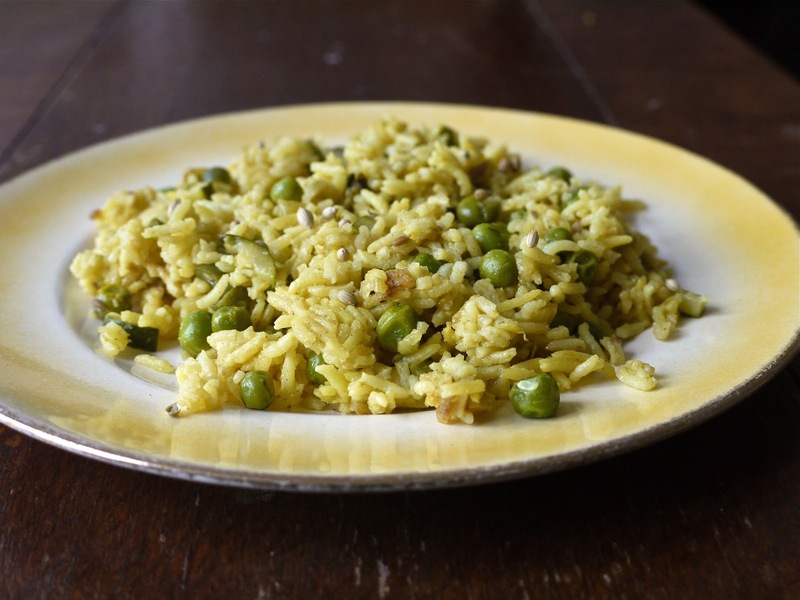 I so love pilaf and its many disguises, is also affectionately known as my raid the fridge rice to use up odds and ends! I LOVE GYPSY!!! Meant to be blogfriends! Also I love how easy this recipe sounds and good tip about putting the grains in with the butter to soak up the spices first. Yum! 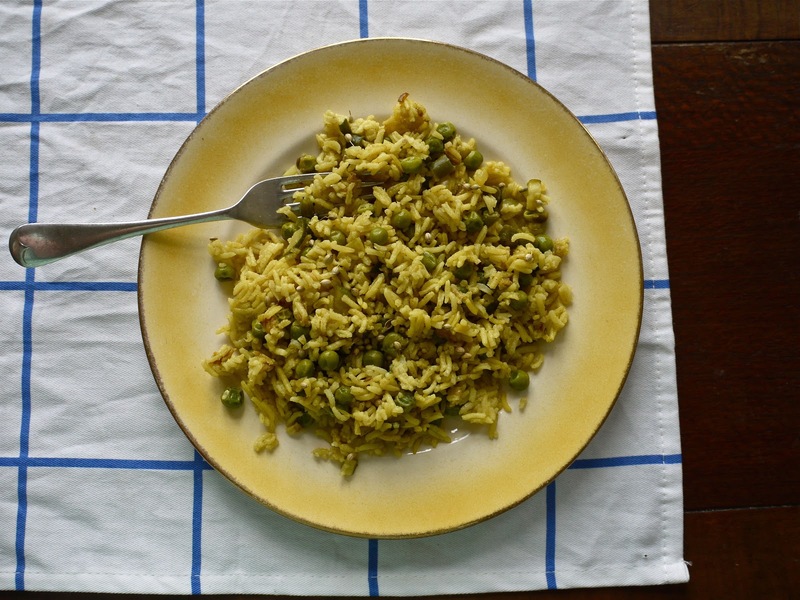 Pilaf is a sweet sunday night fix. I love gypsy too 🙂 and I was thinking recently… no videos lately?! I did manage to load some pictures of Wairarapa (I think), and wow, beautiful scenery! You know what makes me feel kind of awful? The fact that I have NEVER.MADE.PILAF. Or plov, which is definitely what I'm going to call it from now on. Love the spices in this! It sounds super delicious.